Real estate sales in Panama City Beach remained strong in 2018. 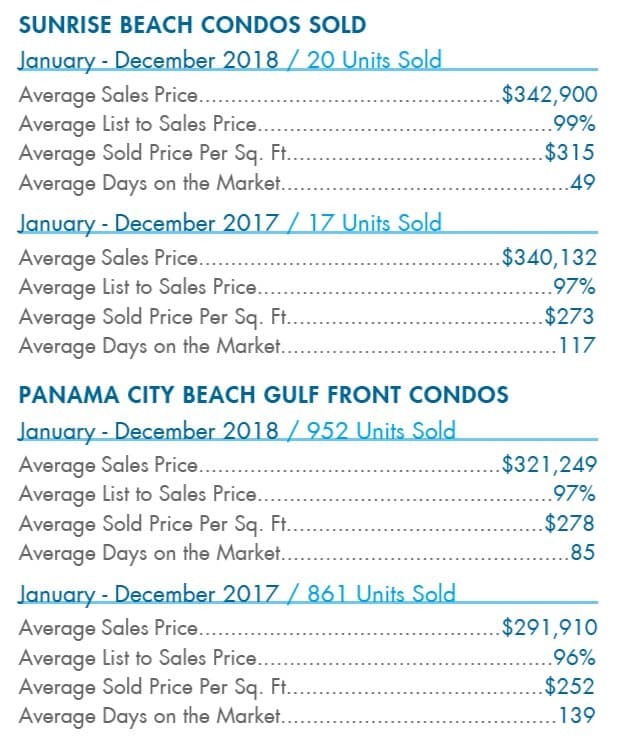 There were 11% more Panama City Beach Gulf front condos sold in 2018 than in 2017. They had a 10% increase in average price, 10% increase in price per square foot and were on the market 54 days less. 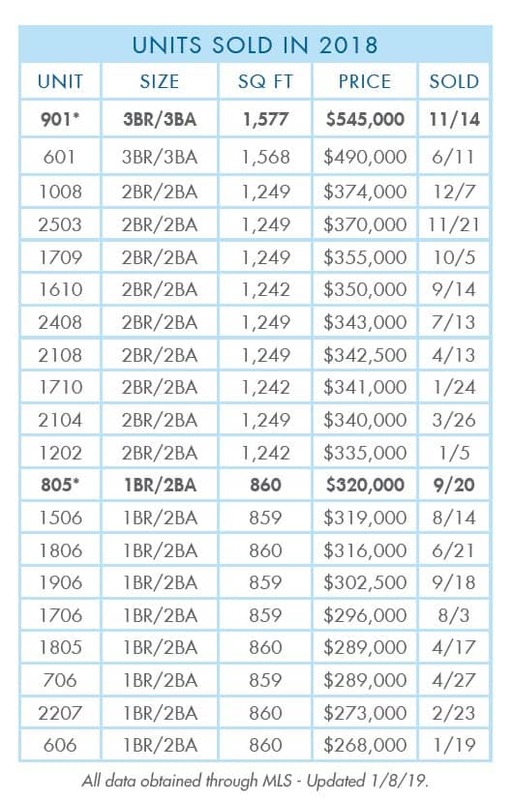 Sunrise Beach units sold in 2018 had a 15% increase in average price per square foot – a $42 per square foot increase! The units were on the market only 49 days on average, 68 days less than in 2017. The Nathan Abbott Team listed and sold Unit 901, the highest priced 3-br sale of 2018, and Unit 805, the highest priced 1-br sale of 2018! 2019 is off to a great start with our listing Unit 801 currently under contract. We are here to be your trusted real estate guides. To find out the current market value of your Sunrise Beach property contact us at 850-812-3261 or Info@NathanAbbottTeam.com. See all properties currently available for sale in Sunrise Beach.